These fashion forward wigs are designed by Hollywood icon, Raquel Welch. She has developed a line of innovative wigs featuring solid construction and gorgeous color combinations. The variety within the brand is incredible, offering short to long, thick to thin, straight to curly, and everywhere in between. 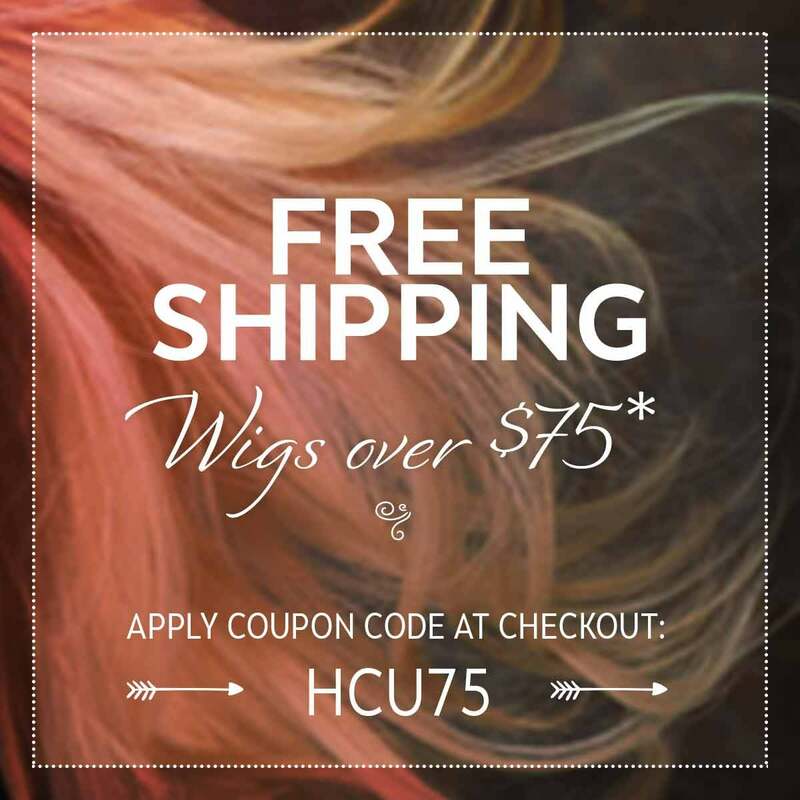 We love the innovative designs and lush looks of Raquel Welch Wigs and know you will, too! Raquel Welch is a talented singer and actress that made waves in film and pop culture as a bold, new beauty icon. She is an award-winning actress that starred in many films as a strong female lead, including roles in classic movies such as The Three Musketeers, Right to Die, Fantastic Voyage, and One Million Years B.C. Welch used her experience as a style trendsetter to create her collection of Raquel Welch Wigs, that began over 20 years ago. Today, her wig collection is known for its high-quality and fashionable styles that stay true to the Raquel Welch brand. Raquel Welch wigs were created so that women could “make it you” using the many different style options offered. Her collection is inspired by her own experiences in fashion and beauty throughout her illustrious career. After years as a model and film star, she continues to inspire and empower women through her signature wig collection. The famed collection includes synthetic wigs as well as human hair wigs, varying in styles, lengths, cuts, and colors. The Raquel Welch wigs collection includes many quality, stylish wigs to ensure that everyone can find a wig to suit their personal preferences. If you’re a first-time wig wearer, synthetic hair wigs may be easier to start with because they retain their style even after washing (making them super easy to maintain). Quality synthetic hair wigs are very difficult to tell apart from human hair ones, but the Raquel Welch wigs collection includes to provide several options no matter what your preferences are. Human hair wigs can require more experience to take care of, but the benefit is that you are able to restyle, color, and use heat tools on the wig just like natural hair. See our guide on synthetic hair vs. human hair wigs to get a better idea of which is the right option for you. Wear it tousled for an easy, carefree look, or comb it down for a more chic and sleek vibe! This short-styled wig is available in a range of blondes, brunettes, reds, and grays. It’s made of synthetic hair and constructed with the Memory Cap II. The Classic Cut wig is a favorite for an effortlessly elegant look created by chin-length, tousled strands and wispy bangs. Made from Tru2Life synthetic strands for heat-friendly hair fibers, along with a monofilament cap construction for amazing comfort and wearability. This piece creates a textured and playful look with voluminous layers and eye-accentuating bangs. The Trend Setter is perfect for anyone that wants to rock the carefree look! We recommend this style for oval, round, square, diamond, heart and pear shaped faces. After you find your perfect style, make sure you are taking care of your new wig to ensure it lasts as long as possible. Synthetic hair wigs typically last 4-6 months with daily wear, while human hair wigs can last over a year. Make sure you understand and follow the care instructions for any wig, including wash, styling, and heat tool specifications. Our wig library will tell you everything you need to know about selecting a wig color, how to buy your wig and so much more. You can learn more about taking care of your synthetic hair with our guide, or feel free to reach out to us with any questions at 1-800-264-4287 (HATS). Our free personalized consultations are the best of the best in the industry and we are here to help you every step of the way!